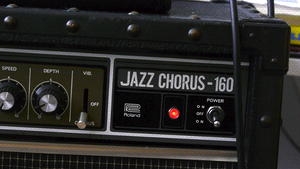 KitMonsters – Roland Jazz Chorus 160 Amp. The music makers’ guide to making music. Rare 1970s collectors item with 4 X 10 speakers and legendary tone. 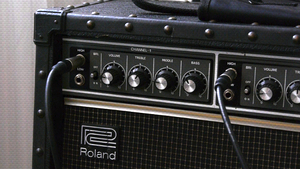 It is a 120 watt solid state amp with a clean powerful sound and a built-in chorus/vibrato, reverb and distortion. The series was popular in the post-punk and new wave scenes. It has two channels, with high and low gain, and a bright setting, and has been used by artists such as Robert Smith of The Cure, and James Hetfield of Metallica.